I'm interested to know - what is your cleaning program? I like to clean. In fact I'm a pretty big neat freak. But the problem is that I only have about 3 hours at night from the time I get home until I go to bed and that includes cooking dinner, eating dinner and trying to relax a little. And that's the nights I don't have something planned. And then on the weekends we always have something going on. And even when we don't - I just hate spending my precious spare time to clean my house. Plus right now I'm tired and lazy. I'm starting to get my energy back but my house has suffered from it. One thing I love to do if I can get into it is to break up the house into rooms - and try to clean just one or two rooms a night during the week and just REALLY do a good job on each of those rooms. I only have to spend about 30-45 minutes a night that way and the house seems to get a lot more clean when I'm not taking on the whole house at one time. Do you have any great cleaning tips? I'm always looking for anything to help me clean better. I'm sure we'd all like to read some helpful hints! I don't know how I'd keep my house clean and my life organized without her. If you don't foolow anything else Fly Lady does, at lest make a Control Journal. Mine contains everything and I can't tell you how wonderful it is to finally be organized! We pay a housekeeper to come clean (really CLEAN)our house once a month, then I do little things in between. It's the best thing we've ever done. I can handle meals, laundry, etc, but a dirty house really stresses me out. So if I know someone (it's actually a team of 8 women) is coming, and the house will get the run-down once a month, I don't stress as much. Totally worth it...and I've always said...cheaper than marriage counseling! I'm a happier wife with some help from the housekeepers! realsimple.com has a lot of good ideas for quick and easy cleaning tips. I used to get the magazine and it was a really good one. Who knows, maybe Scott will get you a maid for a REALLY late Mother's Day gift or something? haha. I would like to say I have an organized plan, but I don't. I have tried cleaning a room or two on assigned days, but as soon as I have an event... I get off my schedule and messed up. So, I try to take a day a week and hit it hard... although, my house is not the model of cleanliness either. I wish it were. I will be checking out Fly Lady!! Have you been to see your parents this week at camp?? I try to do a little every night because I detest doing any housework on the weekends. I'd rather be out watching the kids with their sports or spending time as a family or relaxing and reading. I'll have to try out that fly lady site. I clean during the day and after the kids go to bed. No schedule, just when I see something that needs to be cleaned I clean it. Like today, the kids tub looked dirty, so I cleaned it. The rest of the bathroom looked OK except the rug so I threw that in the wash. Tomorrow I'll find something else to clean and so on. since i stay at home, I can pretty much clean what I want, when I want...but..since you work, I'd suggest putting a load of laundry in each night, then in the dryer in the morning, enough time for you to fold it before leaving for work. Also..Chlorox wipes in every bathroom and in the kitchen..great for quick clean ups. I also keep pinesol in my bathrooms..so its there and I can just pour some in the sinks and toilets. Its also helpful to have a chart..for each day of the week, but that can be hectic if you have surprises during the week. All this will change once Baby H is here anyway! Just do your best and encourage hubby to help! No program for me, but I usually get up and put a load of laundry in first thing in the morning. If I can stay on top of laundry, I'm a happy camper. I'm a neat freak too, but I'm home all day, so I can usually stay on top of things. One thing that helps me is to go to bed with everything picked up. That way, I wake up to a neat house, and in the morning, I can "clean" and not have to spend time picking up first. Plus, it's great for my kids to start out with their rooms neat and tidy because things are always in disarray by late afternoon around here! I would consider myself pretty neat, too, but with 4 kids and a dog and a very busy job, it is SO HARD keeping on top of everything! I'm like you...I don't want to spend my whole weekend cleaning! So I just try to do a little bit every day. Still sometimes I have to catch up on laundry or change sheets and clean bathrooms on weekends, unfortunately! Hey Kelly I struggle with this everyday too. I would love to get a housekeeper but it's not in our budget right now so I have been trying flylady this summer. I signed up for her daily emails and they are great. Flylady breaks your house into zones and you do a little each day so you are not overwhelmed. The address is flylady.net you should check it out. It's really helped me. Good luck. After I had our first daughter I was completely overwhelmed, especially once I returned to work. I just felt like I wanted my time at home to be spent with my sweet daughter and not cleaning. So we hired someone to come in twice a month, and it has made all the difference in the world. Now I know the house is deep cleaned, and I can just do daily maintenance throughout the week (and sometimes a little more on the weekends). If it is in the budget- it is well worth it, even if it means eating out a few times less each month. I had a housekeeper but she had to quit. She was a real estate agent and cleaned houses on the side. Her job got too busy. I was very sad! I tried out Fly Lady, but I must forewarn you...if you sign up for it, you will get TONS of emails. TONS!! I mean, she has some GREAT and awesome ideas that I use. One of them is to shine your sink every night. It makes such a huge difference waking up to nice and shiny and clean sink. But the emails are very, VERY overwhelming. I stay at home so I pretty much to clean when I see something that needs cleaning. I hate to clean, though!!! girl i was soooooooo going to ask this same question to yall tomorrow because with this house I am going to need a system. I usually clean on sat morning. but i will read what the girls have to say. thank you for reading my mind!!!!!!! Hey Kelly, after my first child, one of THE BEST EVER IN THE WORLD baby presents from my in-laws was a cleaning lady for a year...once a month. If you figure, it cost probably as much as a nice piece of furniture. I could live without the furniture but would not have survived w/o that extra help. I, too, was a working mom and that was more of a blessing than they'll ever know! Now....we have a smaller house so I try my best to keep it uncluttered (I'm a total anti-clutter girl!) and on weekends, my hubby will steal away with my daughter and give me a precious 2-3 hr. window to clean. I don't focus on deep cleaning, just the basics (mopping, vacuuming, pledge, windex, toilets, baths, etc) I do it quick! You'll find your routine! But def. talk to your mom about that 'cleaning gift'! I use the card system mentioned before. I've used it for about three years know. The cards have changed over time but it really keeps me covered. I like it too because when my husband walks by the counter and sees the card out he does a quick one, and then puts the card away. I get great satisfaction when all the cards are gone. It makes cleaning the house not so overwhelming and if someone stops by the house is pretty presentable most of the time. My cleaning routine...her name is Maria and she comes every Wednesday at 2:00! :) I can do everything, but I hate bathrooms, and 4 girls with 3 under the age of 4 takes up too much of my time! God Bless my husband for paying for my sweet Maria every week! 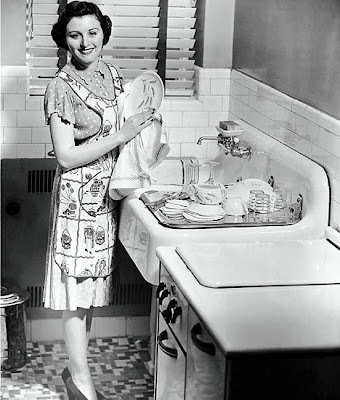 I am actually a really low maintenance girl, but when it comes to cleaning--I am all about a housekeeper. I will pass on other things to save my money for her visits! In fact, she came today and I have just loved being home in my clean house. For a day or two after she leaves I am always all over my boys to keep it clean!! PS On the Fly Lady: Have the emails sent to you in digest form rather than individually throughout the day. Otherwise, there will be half a dozen in your in box every time you check the email. I actually don't even get the emails. I just follow her system from the web site. I also bought her book. (I have to do something either 100% or not at all. Bad trait.) Good luck! Well, I don't really have a cleaning system at all. But, I sooo need one. My best friend just started a cleaning system. She made a chart that hangs on her fridge, nothing elaborate, just real simple. But, she just has certain things she does each day and then some things are done everyday. Then she doesn't have to spend an entire day cleaning the house once a week. She has been doing it for two weeks now and loves it. She does have 3 kids and stays home, but even staying at home she is super busy. I know that she keeps her Saturday's light and I don't think does anything on Sunday other than the daily items. She said at most, she spends about 45min. a day doing her daily "chores". Even though it is just me and my husband, I believe I am going to make me a chart too. I just hate spending a whole day cleaning! Good luck!! This is just a little routine I've started to at least help keep my master bathroom clean all the time because I am not a fan of cleaning bathrooms! I keep those Clorox wipes handy and every morning after I get ready, I wipe down the counter and faucet. I also wipe the toilet down at least every other day. This is going to help keep the heavy duty cleaning of the bathroom to a bare minimum. take equal parts vinegar and water and mix them and then add drops of lavendar oil to the mix. It really cleans well and smells delightful! I do like the idea of hiring a housekeeper to come in at least once a month, but since it's just me and my husband (no kiddos), I just can't justify the cost. A guy I used to work with hired a housekeeper for his wife while she was pregnant because it was just too hard for her to clean as she got bigger. I thought that was so sweet and what a great idea! Of course, once she had the baby, the housekeeper went away, but what a nice thing to do for your wife at least while she's pregnant! I need help too!!! The 1st trimester yucks got me behind! I've been spending weeks just trying to get my house back in order and ready for Kaleb! I just had this converastion with Marc over lunch...why can't I stay on top of things??! Then he reminded me...I'm home all day with a 3 yr. old and a 2 yr. old and one on the way. Geesh, no wonder! I'm jealous of everyone that commented on house help!!! It's just too expensive here, but I would LOVE it. My helpful tip is to hire a cleaning lady! Ha! I use to stress over keeping the house clean and then we had Taylor and I had no time. So...we have someone clean our house every other week, and I don't know what I would do without her! I'm sure one of these days I'll go back to cleaning on my own...maybe when the kids can help. :) Love reading everyone's tips! I try to keep everything picked up during the week. Then on "cleaning day" just the actual cleaning needs to be done. I also invested in one of those automatic shower cleaners and then I "deep clean" my shower once a month. I also keep the bathroom cleaner in the bathroom and will wipe it down as needed. Then really on "cleaning day" all thats left is mopping the floor and cleaning the toliet. Clorox wipes also help out a lot, b/c then I can wipe down anything quickly.I tried the swiffer mop, but it never really got my floors clean enough for me. Although I do use it sometimes after cooking in the kitchen. The swiffer vac however is wonderful! It gets places that I can't get with the vacuum (we have hard wood floors). Laundry is my big hang up. It never seems to be caught up! I have loved reading everyone's tips! Housekeeper! I have a girl that is just starting out cleaning houses that only charges me $40 to come every 2 weeks and do a good deep clean. Then, all I have to do is pick up and do laundry. I would love to offer some fantastic advice here, but I struggle with the same thing. I try to get hubby to help as much as possible and he will, but a cluttered (read: dirty) house doesn't bother him in the least, so I usually have to ask. My girlfriend swears by the flylady. I struggle with a good balance on all of it. Derek is SO good to help me though. He does a GREAT job on the floors and I pretty much do everything else. I wish I was more organized with it though. I was just thinking this week I've got to get a better system going. I find myself picking up in one room, and then going to another to put something away and then starting in there, so it's like I never get completely done in one room. Urgh! Just wait until Baby H gets here...your system will have to change yet again. Ha! My husband cleans, that's how I keep my house clean! I get home too, and in just a couple of short hours, it's back to bed to start the whole thing over again the next day. There just aren't enough hours in the day. I am picky about a clean kitchen. I hate having dishes sitting out to dry. I like to wash dishes right after I use them, and dry them and put them away. When I first read your dilemma, I thought "Flylady" for sure! However, I see that others have already recommended her. She's great! I don't get the emails, but I bought the book. It's easy reading and SO applicable!! You sound like me! I am such a "neat freak," but my family loves me for it! I have never heard of flylady, but I can't wait to hear all about the suggestions! I ask Web to help me by cleaning the bathrooms and mopping ;)! I love flylady. One thing I do is have a small basket with handle in each room. It has the tools I need for that room. For example, I have a Swiffer duster, wood polish and rag, a spare light bulb, and a bottle of Fabreez in my bedroom. Except for the my dust mop I really don't need anything else for that room. So when I have minute I whip out my box and have the room cleaned in 10-12 minutes. I even spray my throw pillows and comforter with a little Fabreez to give it a fresh smell. Not having to collect all the supplies really makes the work go faster. I'm with Sunni-hiring someone to clean once a month has totally been worth it for us. I fought it for a long time because I felt "guilty" for some reason about it. BUT, my husband and I both work and although we do not have children, it still really hard to find time together. The last thing we wanted to do all day Saturday was clean. We have a tiny place and the lady only charges $50 each time she comes, which is about once every three weeks. Completely worth it, 100%! and, I think we'll reevaluate that if we have kids and I stay home. So, don't let yourself feel guilty if you decide to go that route-it means more time together doing the things that matter most-much more than having clean floors! Kelly. You crack me up. Your house is immaculate! However, I understand how you feel. It stinks to spend the spare time you do have cleaning your house. Especially once you have a baby! I used to do the exact same thing as you. I would spot clean a room or two at night. I have heard of flylady and I would be interested in what she has to say. But, I have also heard of a cleaning lady. We did that every other week when we lived in Fayetteville. Now, I am not working so it is my job! I, like you, am a neat freak too! I can't sit down when I get home until I 'pick up'. I dislike this feature that I posess because I feel overwhelmed and stressed if everything isn't cleaned. What I usually do is take two hours Saturday morning and just clean it all! Then I feel like, at least I can not worry about it for the rest of the week. I've been a little easier on myself lately and have been telling myself to calm down when it comes to cleaning! I LOVE Flylady... I have her book and try to apply her method of getting things cleaned! It really motivates me to keep a clean house by having dinner guests over once a week! :o) I am so serious!! Other than that, I don't have much advice. I am a fly by the seat of my pants kinda girl!! So, I've enjoyed reading the suggestions!! I break it down by rooms. For example - I clean the living room on Monday night, the bathrooms on Tuesday night, the bedrooms on Wednesday night, etc. Then, of course, I do certain things almost everyday - wipe down the kitchen, sweep the living room, things like that. My dream is to have someone come in once a month, like Sunni. Since we both work full-time and I'm going back to school one night a week this fall, plus all the other stuff we have going on - it would be so nice! We'll see! I'm a neat & clean freak too! That can be good and bad!!! I have a 3 y/o and work part time and cleaning was taking time away from my hubby and child. So we hired a super sweet lady to come in every two weeks to clean and on the alternate weeks I do what I call a "spit cleaning". While Noah is napping on my days off I try to do some Bible Study and then use the rest of the time to clean, get dinner started, and fold clothes. I HIGHLY recommend considering a housekeeper 1-2 days a month or even once a week if your budget allows. It will give you more time with your husband and baby!!! Breaking your house up into certain rooms to do each night is a good idea, but don't be too hard on yourself if you want to be lazy...your pregnant and entitled. By the way....Congratulations so happy for you! Soon enough you will be in nesting mode and be a cleaning fool. What I do is kind of like the cleaning one room at a time thing, but I do one chore at a time. For instance: Mondays I vaccuum the whole house. Tuesday I clean the hardwood and tile floors. Wednesday I dust. Thursday I clean the master bedroom. It doesn't take very long and the house is in some state of clean all the time. My extra bathrooms don't get cleaned every week b/c no one really uses them. I usually clean them on the weekends. Other small chores get done on the weekend too. It works out nice. I like to keep my weekends for fun things, so I usually don't have to do too much then. I only have to get out one thing, like the vaccuum. Ok, edit the above by saying I clean the Master BATH on Thursday. i'm a neat freak too! and i'm way, WAY too proud to hire someone else to take care of my home. as a mom of two young ones, and a fellow neat freak, i feel like i should share with you that not being able to keep up with homekeeping--as a full-time homemaker who's home all day, no less--was/is the biggest source of depression for me. i try to do what you do--clean one room a day. during times when i don't even have that level of energy, i just stick with the basics from day to day--dishes done, floors mopped and vacuumed, toilets/tubs/showers cleaned. I've had a cleaning lady come every 2 weeks for the past year, but I'm going to cut back to once a month now that E is older. It is the only time i've had a cleaning lady though... so basically, my cleaning program consisted of doing the best I could and knowing there would be times that I would be extra careful to not die in a car crash for fear of people seeing my house! lol When things were extra busy at school and I was running non stop morning til night... the house just flat out did not get clean. And you know what? It's ok! I had to stop caring what my MIL thought. My husband understood. My kids couldn't care less... so I didn't worry about it. *I* like having a clean house, but it isn't always possible and there are more important things. As far as the other times go... I don't really have a routine b/c my life isn't that predictable. I clean when I can clean. I have LOVED having a cleaning lady... and agree with the comment above that it is cheaper than marriage counseling. My house is never clean top to bottom, all rooms... except for right after the cleaning lady comes. Being able to do that ended when children came. yes, i work part time... but even when home, I find it harder b/c it is so constant. it does not stay clean for 5 minutes. It is cleaner when the kids are in school. Anyway, don't know that there was any advice in there, except to say... don't stress over it. My hosue was always messier when pregnanat b/c I was sooooo tired all the time. Every night set your kitchen timer for 30 minutes. You'll be amazed at how much you can get done in just 30 minutes and then you only have worry about it for 30 minutes. If you do it every night, you won't feel bombarded on Saturday and feel like you have to do it all!!! Trust me it works! Lauren's Good Housekeeping Tip # 426: Hire a cleaning lady. It's the best money you'll ever spend! Kelly, I KNOW you're probably tired of them, but I gave you an award, too! I had to list "honorary" award winners, since my blog roll is extra talented and already has been awarded! I agree with the one room approach.Divide and conquer.I have 4 little ones and seem to clean all day. Evenings are the only time they aren't under foot.Just set a timer.I could reorganize my life away.Having someone come in a clean for me really didn't seem to help.I cleaned for her. I break it up into chores. I only work on the "BIG" chores Monday through Thurs. I dust one day, floors, the other bathrooms and outside cleaning. It has made my life soooo much less stressful and I don't spend hours to finish. Good luck. I love to visit your blog...by the way, if you're up for it..I've tagged you! I'm a room splitter-upper too! And I cook and husband cleans up after me...so that's pretty fabulous. My Dyson vacuum is just about the coolest thing ever. I love the transparency. Once precious Baby H arrives, treat yourself to a once a month deep clean by a pro. I love ya! Happy Friday! I agree with all of the cleaning lady tips. We have a sweet couple who come twice a month and it's the best investment! !